Semicolon tattoos aren’t a trend. They’re a symbol of a silent fight. Content warning: The following article contains images depicting self-harm. Leanne has been holding off on getting a tattoo. The Duxbury, Massachusetts native says that she’s wanted ink for a long time but never found a design that resonated with her. Then, she was reminded of a meaningful tattoo she’d seen on Twitter a year ago: the semicolon, a symbol often found tattooed or drawn on people with histories of mental illness. 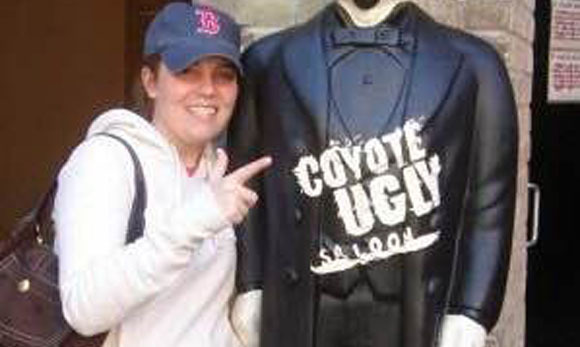 Soon after, Leanne booked an appointment with an artist in Watertown, Massachusetts and got ready to take the plunge. Until recently, the tattoo’s meaning was largely kept quiet. Now, stories of struggle — and survival — are appearing online in the wake of the semicolon tattoo’s rising visibility. #ProjectSemicolon tattoos (permanent and Sharpie-based) are posted on Facebook, Instagram, Tumblr, and Twitter. The stories being told are impactful, says Leanne, especially since talking about mental illness is emotionally–and socially–compromising. 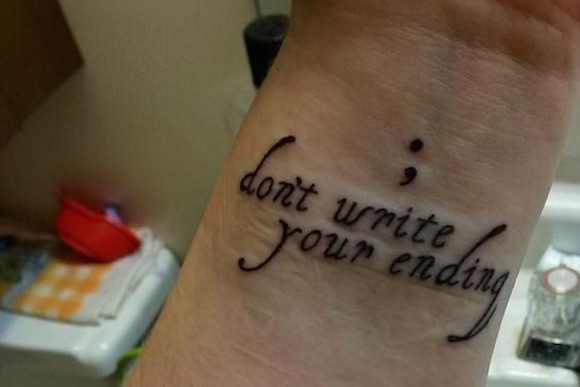 Captions for #ProjectSemicolon posts give glimpses into people’s emotional struggles. Leanne is joining the ranks of those willing to share their stories in order to foster an open dialogue about mental illnesses. Bluel, the founder of Project Semicolon, faced mental health struggles throughout her life. In addition to an emotionally and physically traumatic childhood and adolescence, she lost her father to suicide in 2003. When asked what inspired her to start Project Semicolon, she points to both her own struggles and the loss of her dad. Amy Bluel and her semicolon tattoo. The main focus of Project Semicolon is to open up discussion about mental illnesses. It is both a social movement and a nonprofit organization whose ultimate goal is to educate and spread awareness about issues like the ones Bluel has faced. Bluel also notes that while the tattoos have become the most catchy and viral aspect of the project, they are not a necessity. Inkless members like Leanne are common. “We never suggest the tattoos,” Bluel says. “You don’t have to be a part of [Project Semicolon] to get the tattoo [or vice versa].” Any and everybody is welcome to participate in the movement. 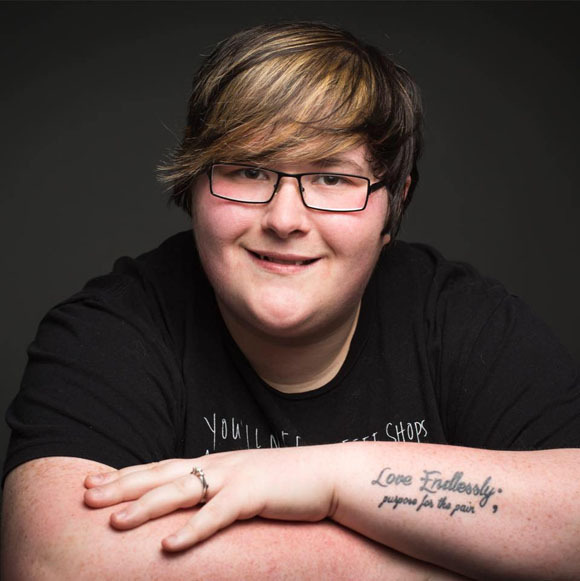 Project Semicolon’s initial launch in 2013 focused on people drawing the semicolons, rather than tattooing them. The insurgence of followers choosing to make these marks permanent came after. “Even if I weren’t the founder, I’d definitely get it tattooed,” Bluel laughs. 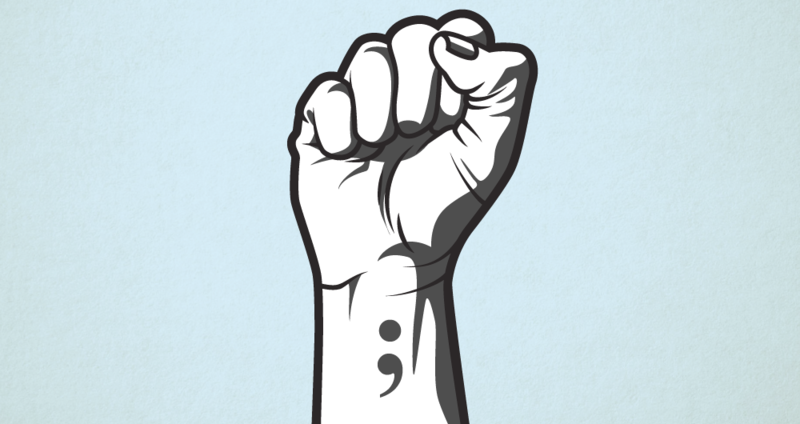 Both Bluel and Leanne hope that Project Semicolon will encourage people to openly discuss matters of mental health, free of judgment or negativity. In 2010, Leanne began to experience anxiety caused by a heavy dose of steroids she was taking to treat Crohn’s disease. When treatment stopped, the emotional side effects remained. 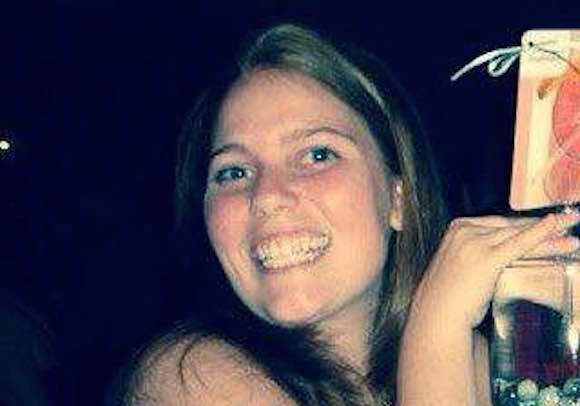 Leanne’s medically-induced depression and anxiety destroyed her quality of life. “I wasn’t able to leave the house for two years,” she says. The emotional toll of her mental health led Leanne to attempt suicide in 2012, two years after initially being diagnosed with Crohn’s Disease and experiencing chronic anxiety and depression. Since then, Leanne has sought treatment. She attends weekly sessions with a therapist whom she trusts and relies on a strong support system. “I’m here because of my mom’s never-ending support,” she says. Leanne and Bluel note that silence about mental health is problematic. Bleul in particular mentions how absent talks of mental health are from the Christian community. Project Semicolon’s website states that it is a faith-based organization, and Bluel makes sure to clarify that the movement welcomes people of all denominations and religious or spiritual beliefs, including those with no beliefs. The faith aspect of the movement comes from Bleul’s own experience of being isolated from her church. When word got out about her struggles, Bluel was kicked out of Assemblies of God Bible College where she was studying Youth Ministry. She says she hopes to “somehow open communication with the Christians about how to deal with [mental illness]” to help stop the trend of churches turning people away who come to them for help. Leanne also wants to open up communication, though in a secular way. She believes that negative perceptions of mental health further damage the lives of those experiencing it. Her hope is that opening up a dialogue will help shift public opinion and wear down the stigma surrounding mental health. When asked what they would like to say to those suffering from mental illness, Leanne and Amy offered similar sentiments. “There is help out there,” Leanne says. “Never give up. Don’t be scared to get the help that you need,” Leanne says. If you or someone you know is struggling with mental illness, call 800-273-8255 or click here to find help near you.